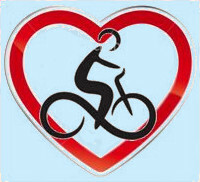 ﻿ Bike Tour in Provence| Single Base| Why Choose Us| France. WHY CHOOSE OUR B&B BASED PROVENCE BIKE TRIPS. 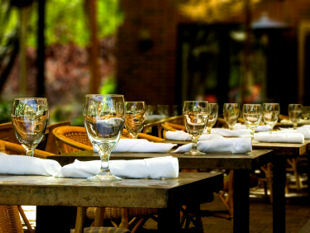 prestigious wine chateaux or smaller unpretentious local vineyards. 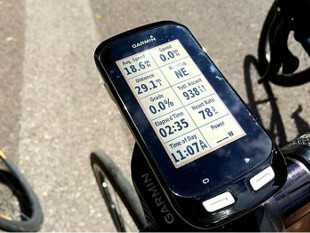 Do all the cycling and sightseeing you want to do, when you want to, with our easy to use, flexible pre-programmed GPS systems. We have rides loaded for all abilities and enough to keep the keenest biker busy. And, if your partner wants to do less cycling and sit by the pool or visit a sight, then that works too. You can also now rent carbon road bikes, as well as electric assistance bikes so if one or both of you are not such strong riders it can make for an easier, fun time. (There's an extra €168 extra charge for your stay, including insurance - please enquire at the time of booking). 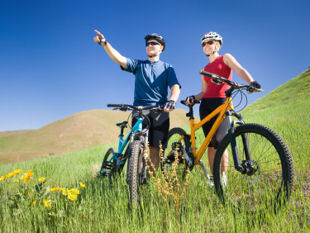 You'll be able to combine biking & relaxation and hopefully really enjoy your stay in the Luberon. There's no having to pack & unpack your bags & move to a different hotel each day and no time-consuming logistics. We hope you'll be more than comfortable during your stay in our renovated 17th Century Provencal farmhouse, with its large pool, gardens and vineyards. Click here to see our B&B Accommodation TripAdvisor comments. We don't run mass tours, you're not just a number! Our groups are on a manageable personal scale, with never more than 8 to a group. Unlike some tours operators, we prefer not to run a minumum group size, so you can have the peace of mind that we will not cancel your tour at the last minute due to low numbers. We use quality equipment. Our brand new Trek hybrid bikes will get the best from your efforts, keeping you comfortable in the saddle, whilst the excellent Garmin GPS systems will guide you effortlessly around the ride and sights that you have chosen. And for peace of mind, in the unlikely event of a mechanical problem, back-up transport is just a call away. We aim to offer honestly priced, value for money Provence cycling tours. If you compare what we offer (the accommodation, No of nights, bike rental, a great location, meals etc), and how we offer it (flexible GPS systems, ride directory, back up, individualised personal service), you should find that we stand up very well to other bike tours. We can do this because we don't have to pay middlemen for hotels, food & bikes etc, these savings are passed onto you to make great prices. "Fabulous time in Luberon area cycling. We can't say enough about what a wonderful time we had cycling in the beautiful Luberon area of Provence. Neal and Nat and kids are fantastic hosts in their lovely farmhouse complete with fabulous meals and atmosphere. It was great meeting new people from other places. Real family feel, very comfortable. Highly recommended! We hope to be back soon! " Bonnie & Tim - Canada - May 18 - Provence bike tours review. "A FANTASTIC Vacation !! After biking for 88 days across the US on the Northern Tier route, I needed an easy, creature comfort ladened ‘vacation’ trip. This was it. The location in Provence was perfect, the weather ended up being perfect, our biking group of eight friends was perfect, the bikes were perfect, our accommodations were perfect and the family run Provence Cycling Holidays with Neil and his family was perfect!!!!" R S - US - Oct 17 - Provence bike tours review. "Fantastic Provence Cycling Holiday! Wow! 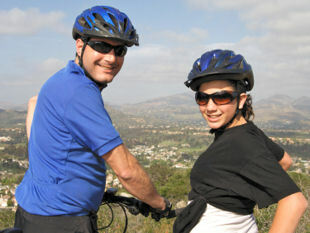 Our six days of cycling from Neil and Nat's B&B has been our favorite biking experience ever! " Bonnie & Eric - US - July 16 - Provence bike tours review. - action packed days - with Neil's expert help it was easy to plan days with exactly the right balance of cycling, visiting villages, long lunches and not too many hills! - delicious meals - sharing Neil's fantastic meals with his family and other guests on the terrace was a particular highlight. We have been recommending Provence Cycling Holidays to our friends and hope to go back and explore some more rides ourselves - four nights just wasn't long enough! " Clare - UK - June 15 - Provence bike tours review. "Best cycling holiday ever!! We've just returned from nearly a month's wonderful vacation in France. 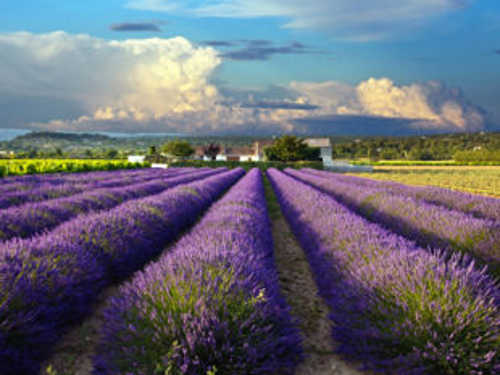 We visited Paris, Provence and Cote d'Azur, but undoubtedly the highlight of the vacation was the 6 days self guided cycling with Provence-Cycling-Holidays.com. The biking routes we took were magnificent & exactly what we wanted - to ride along quiet country paved roads, visiting hill top villages. " Peter & Ann - Canada - May 14 - Provence bike tours review. "Better than the best! I started reading other reviews before writing this and said to myself, "what can I say that hasn't already been said a dozen times?" I can say that this is our second year in a row we've done this trip and stayed with Neil and Nat, and now more than ever look forward to our next time. Since actions speak louder than words that says it all. This is THE best bike experience you'll have bar none. Book early, they fill up! " Peter - US - June 13 - Provence bike tours review. "I recently spent 5 weeks cycling around France. The major highlight of the holiday was the time I spent at Provence Cycling Holidays." Gill - Australia - May 12 - Provence bike tours review. "Highly recommended. We will definitely be doing some more cycling trips as a result of our great first impression (perhaps the best compliment we can give)." Richard & Annette - UK - June 10 - Provence bike tours review. "With the warm and friendly hospitality from Neil and his wife and you could be forgiven for thinking that you have the good fortune to have a lovely retreat in the Luberon to share with good friends." Barbara - UK - June 09 - Provence bike tours review. "Great location, great hosts, fantastic stay, ticked every box." Gareth - UK - Sept 08 - Provence bike tours review.